Transform your business into a digital super hero with the power of the cloud behind you. Put your customers at the heart of your business. Sell faster and smarter with a centralized system that empowers your team to perform better and makes connecting to your customers easier. Ensure your customers are happy with service that is available where they are and when they need it. For today’s customer, loyalty, retention, and satisfaction are highly dependent on fast, seamless and intelligent service. Deliver highly personalized marketing campaigns across email, mobile, connected apps, social and the web. Combine customer data and behavior to build a 360-degree view of your audience for a richer experience with your brand. Empower your customers, partners, and employees by giving them access to information and expertise they need, when they need it. Facilitate collaboration among community members with discussion forums, so your agents can focus on the most significant issues. Meet the future on mobile. Develop beautiful, engaging applications that transform the customer experience. 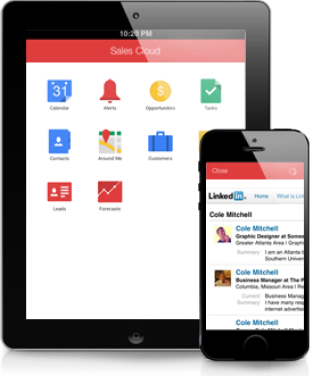 Build applications that help streamline, automate and ultimately turn your business into a mobile enterprise. Choose your preferred development language with Heroku for Salesforce. 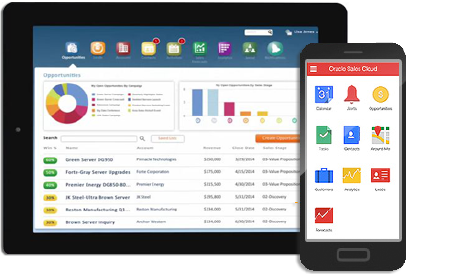 Empower your organization with visibility and insight across departments right in your fingertips. Go deeper with information, uncover key insights, and visualize complex metrics to understand how your business is running. Get in touch today to start your journey to the cloud.